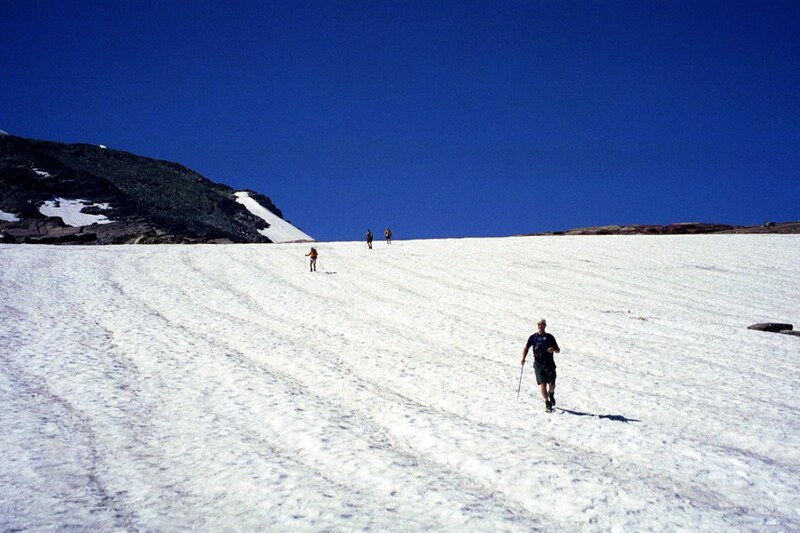 Playing on the Sperry Glacier, Glacier National Park, 2003. Dave is playing drinking games while ice fishing in Minocqua, WI. February, 2009. 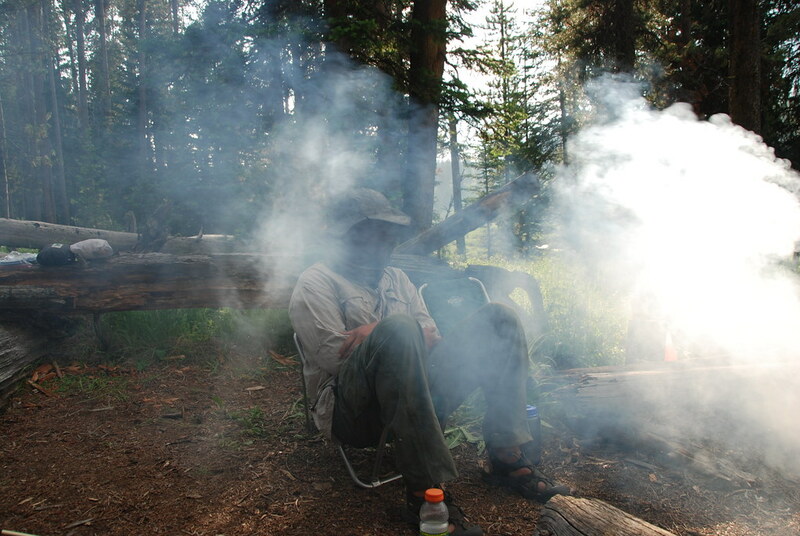 Fan Creek backpacking site, fighting the mosquitos with a headnet and smoke, Yellowstone National Park, 2008.